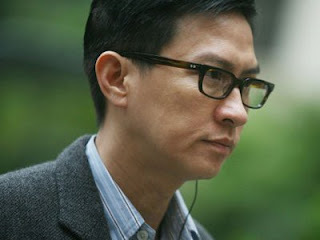 Actor-turned-director Nick Cheung recently confirmed rumours that he has included a part of the unsolved case of Elisa Sam's death in his horror debut, "Yulan Magic". Apple Daily reported that on 5 August, the actor revealed, "I felt that it should be included in the movie as it happened at the right time and there is just so much room for imagination, since nobody knows the truth of what had actually happened." The case of Elisa Sam still remains a mystery since February, since the 21-year-old Chinese Canadian student made the headline when she was found dead in a water tank at the Hotel Cecil in Los Angeles. The LAPD also found surveillance footage of her in an elevator minutes before her death, in which Elisa was seen behaving erratically – pushing all buttons, peeping out of the elevator, as well as talking to an unseen 'person'. The famous video made it to YouTube and attracted many, including conspiracy theorists and supernatural believers who think that she was possessed before her untimely death. Actress Cathryn Lee, who had to re-enact the scene, stated, "When Nick first showed me Elisa's footages, I was terrified. Thankfully, he was there to help me get through the scenes." "Yulan Magic" is scheduled to be released in 2014.